Zella Day – Hypnotic. Pisces water sign, Arizona native raised in the mountains. 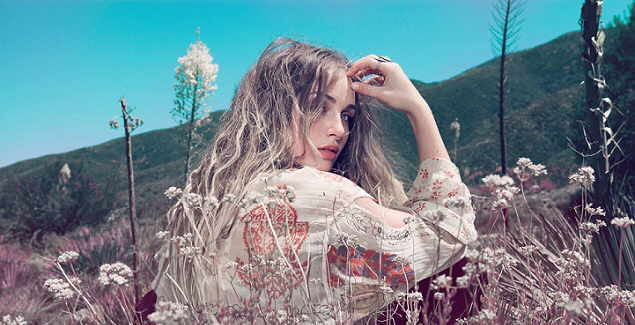 Elevated 7,200 feet above the Phoenix valley, Zella Day was nestled into a log cabin with an acoustic guitar in a town surrounded by the Sitgreaves National Forest and Apache reservation. Immersed in music at a young age, her family owning the only coffee house in town with life music, Z was apart of a very small artist community that supported her natural desire to write music. Now residing in Los Angeles, Zella Day incorporates her simplistic roots and blends them with the eclectic sounds of the West Coast. Hypnotic’ itself is all kinds of brilliant – the EP it’s taken from is proper superstar material and features a number of other tunes that you will almost certainly find to be highly agreeable. It came out at the end of last week and you can even buy it on iTunes. Failing that you can just giving everything a whizz through on SoundCloud. 2014’s already been a big year for Zella and everything’s in place for her to break through in 2015, which is quite exciting.